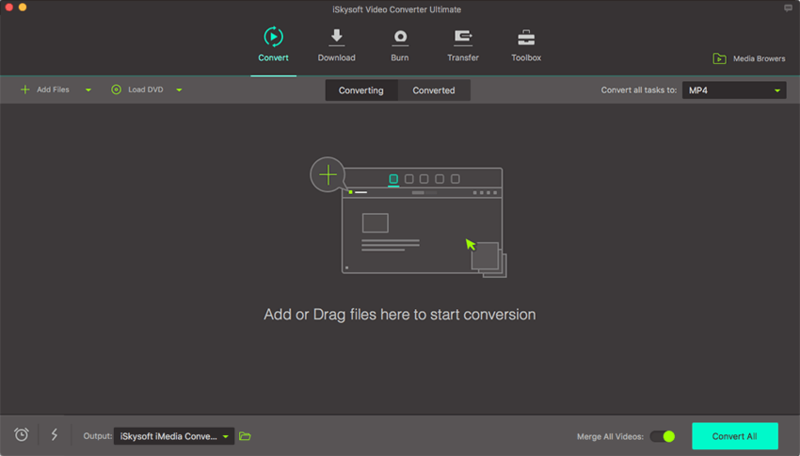 In addition to converting videos between 150+ formats by working as a powerful video converting tool, iSkysoft Video Converter Ultimate can also download online videos from 10,000+ websites, edit videos with built-in video editor, burn videos to DVD, copy or backup your home DVD on Mac (macOS 10.14 Mojave, 10.13 High Sierra, 10.12 Sierra and 10.11 El Capitan included), as well as transfer your converted or edited videos to your mobile devices. And even when you fail to upload videos to Facebook, YouTube or Vimeo, iSkysoft can help you achieve that with ease. Download the free trial version of iSkysoft Video Converter Ultimate for Mac and follow the guide below to see how this brand new version works!